Photographic and video documentation. Courtesy the artist. Dimitris Alithinos, VAeFA (1978). Courtesy the artists. 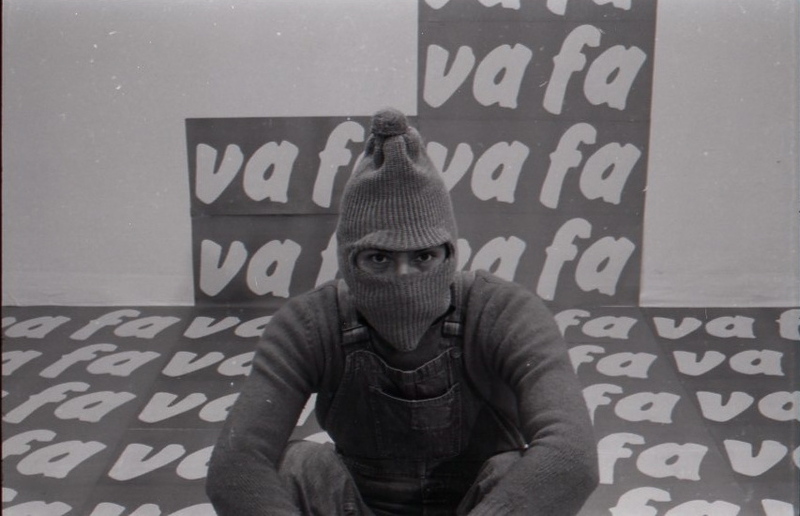 In the period between 1972 and 1979 the work of Dimitris Alithinos was strongly directed against oppression and totalitarianism, and moved later coherently, beyond Greece of the military junta, into European countries (such as Italy and France) which were in full transition to mass culture and consumerism. More generally, until today, Alithinos's work ranges with ethical coherence through cultures and societies, showing that the opposition of those years toward the established forms of artistic language, didn't take place only as a need of the moment, but rather, as a precise conception of society, and of a possible role of the artist, beyond the time of "contestation". The VENICE INTERNATIONAL PERFORMANCE ART WEEK 2016 presents photographic and video documentation of Alithinos's performance work.